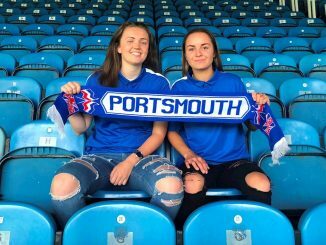 Portsmouth have made the dual signing of Molly Clark and Rebecca Barron, who join following a successful 12 months for the midfield pair, both winning trophies with Chichester City and England Beach Soccer. Barron captained Chichester to the FAWPL South West Division 1 title, with Clark also playing a vital role in the league campaign for City before a spell with Yeovil Town in the WSL Spring Series. Both players featured in Perry Northeast’s England Beach Soccer squad that went out to Portugal and won the Women’s Euro Beach Soccer Cup 2017. 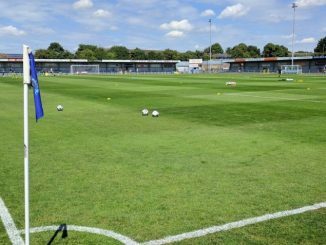 Pompey manager Jay Sadler was happy to have signed the duo ahead of the 2017/18 Women’s Premier League season. 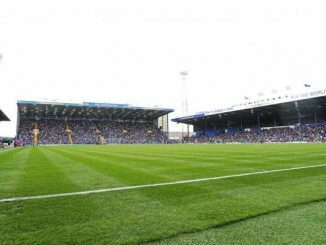 Sadler told portsmouthfcladies.co.uk : “We’ve been working hard, behind the scenes, to get these two signings sorted and I’m delighted we finally have. “Both possess obvious qualities; Rebecca is a tenacious midfielder who loves to get stuck in, and she had a fantastic season down the road at Chichester, captaining the team to the league title in emphatic style. “Molly knows this club well having played here before and her natural presence will lift everyone at the club. She’s a dynamic and creative player who can make something out of nothing.